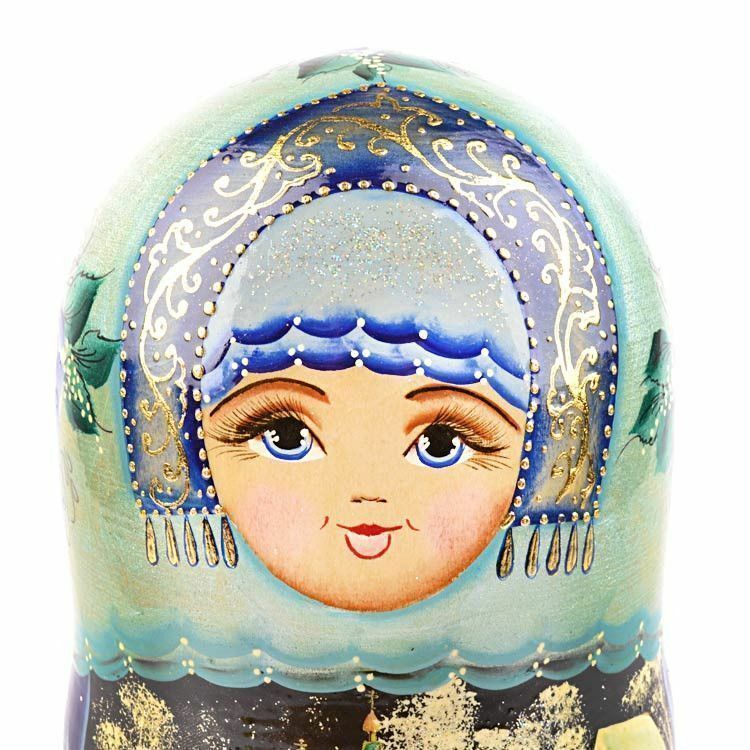 This beautiful nesting doll was hand-crafted by master Russian artisans, and hand painted by the talented artist G. Artamonova. 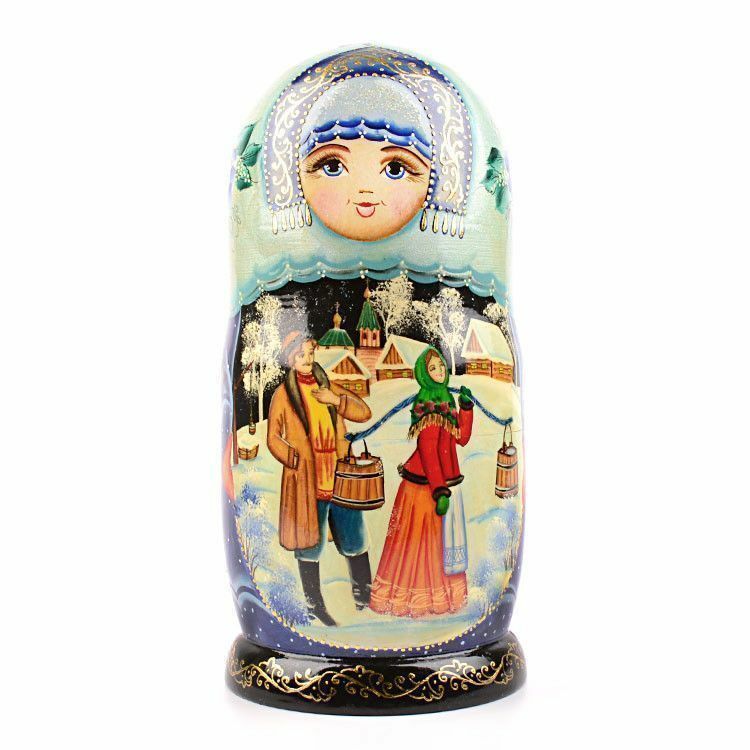 The largest of the dolls feature a couple flirting on a snowy winter's night. 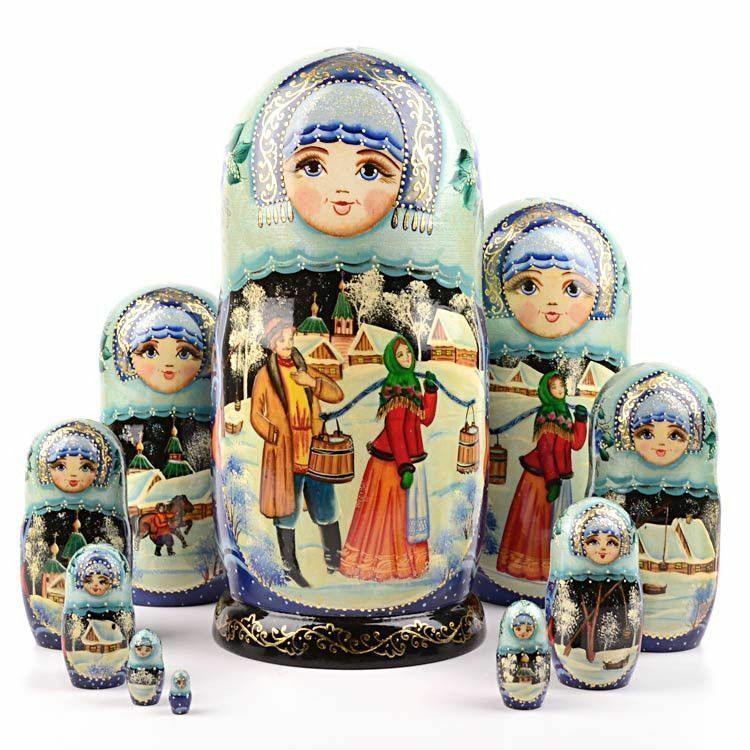 While the other dolls in the set adhere to the same theme. 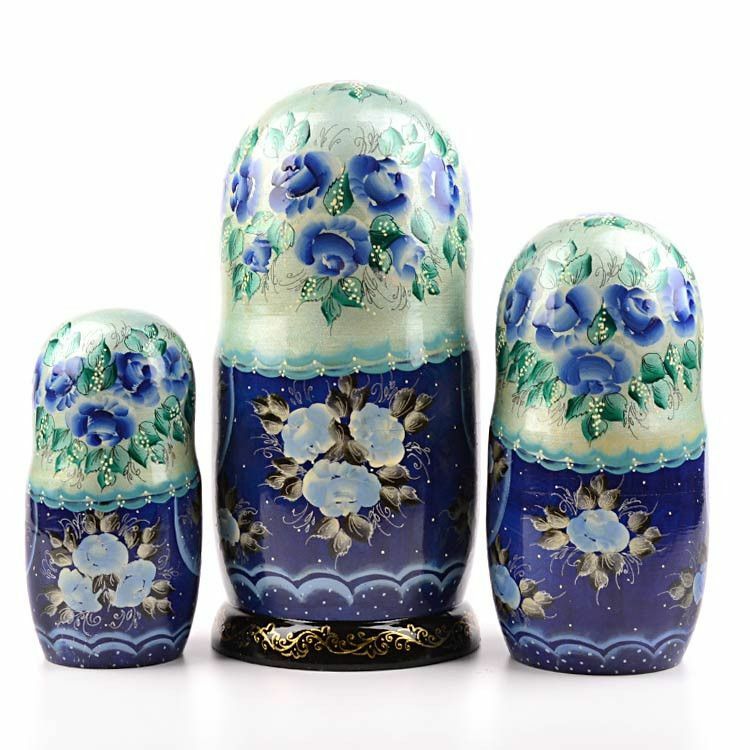 The back of this doll features a blue floral scheme while a high level of detail. 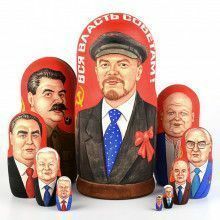 Russian nesting dolls have been popular the world over for over 100 years. 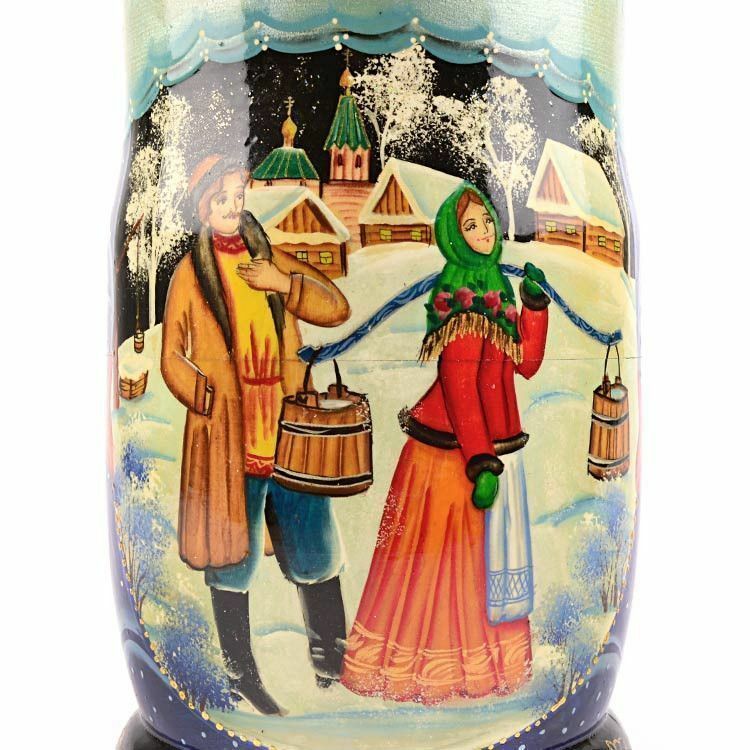 They've made such a mark on the world, and are immediately identified as a symbol of Russia that many people think they've been around for much longer. 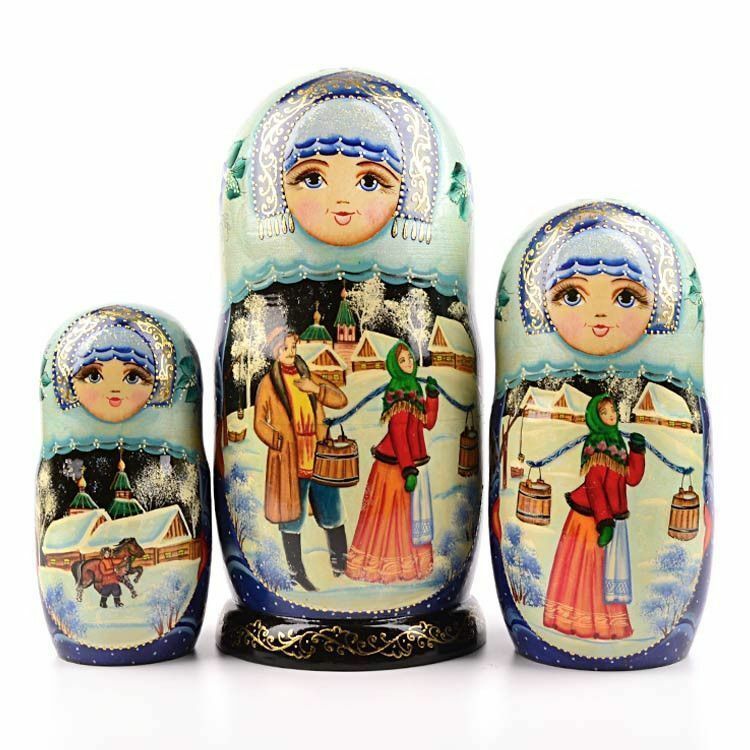 This doll was imported straight from Russia. 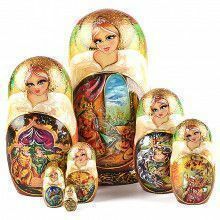 Dolls like this make a great piece of art to display in your home. The feature stunning illustrations, but also carry with it a folk art charm that is warm and inviting. 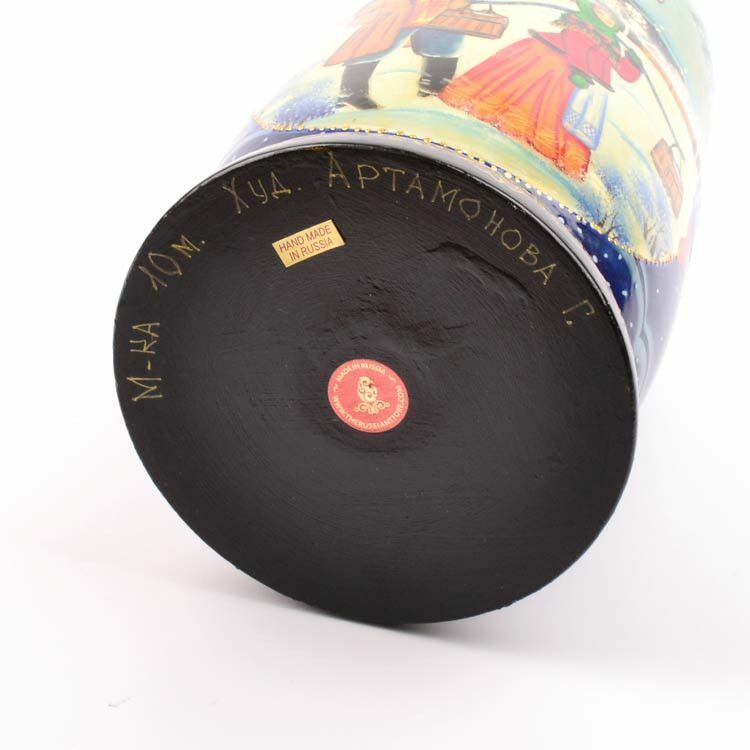 Makes a great gift for a friend or a loved one.